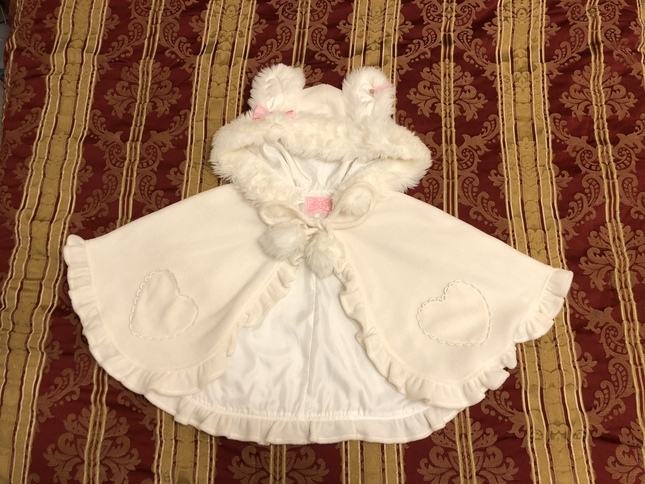 For sale is the Angelic Pretty Lyrical Bunny cape in white/ivory. 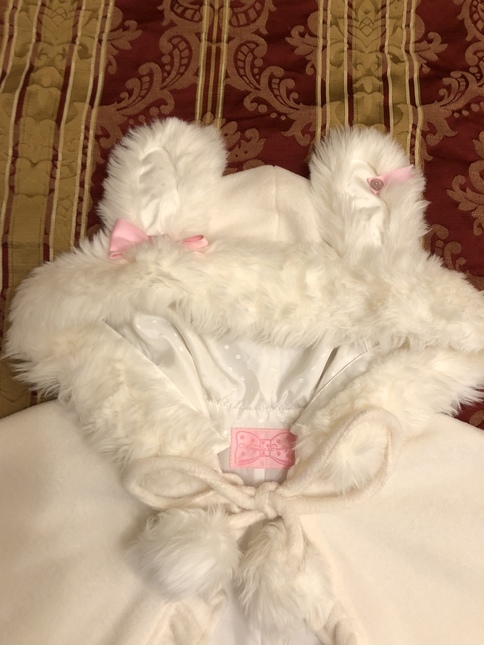 It has sweet rabbit ears with a pink bow and detachable faux fur trim. 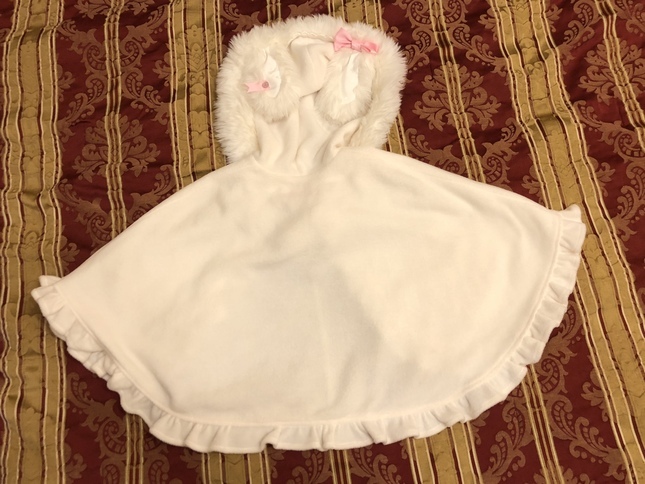 I have worn it to a meetup before but it is still clean and comes from a smoke free home. 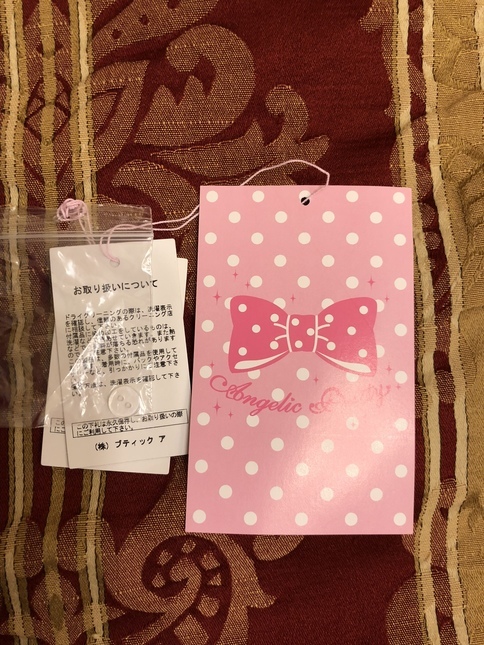 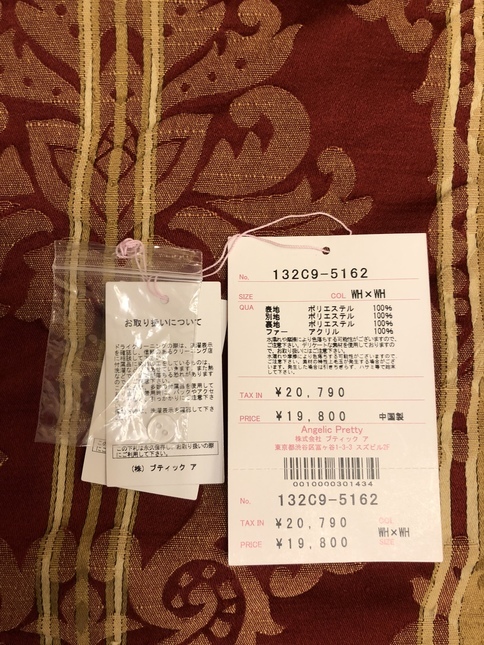 I still have the original tag and spare button so I will send it with the cape. 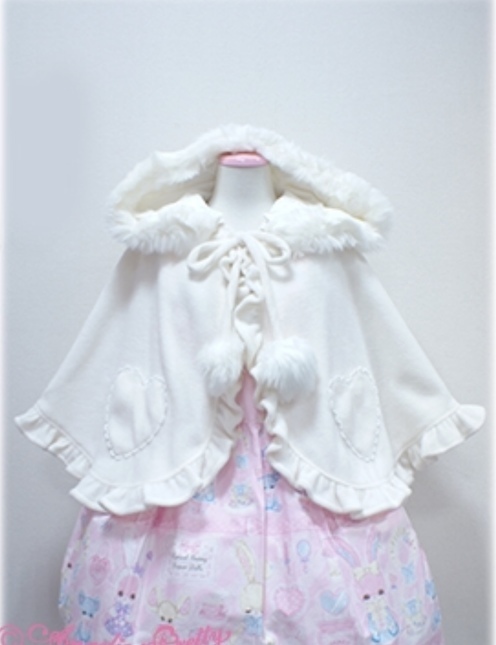 I am also selling this cape on eBay but if you buy it here I will give free shipping in the USA.